These cakes came about by accident when I had some cake batter left over from making my Christmas Pudding Christmas Cake. 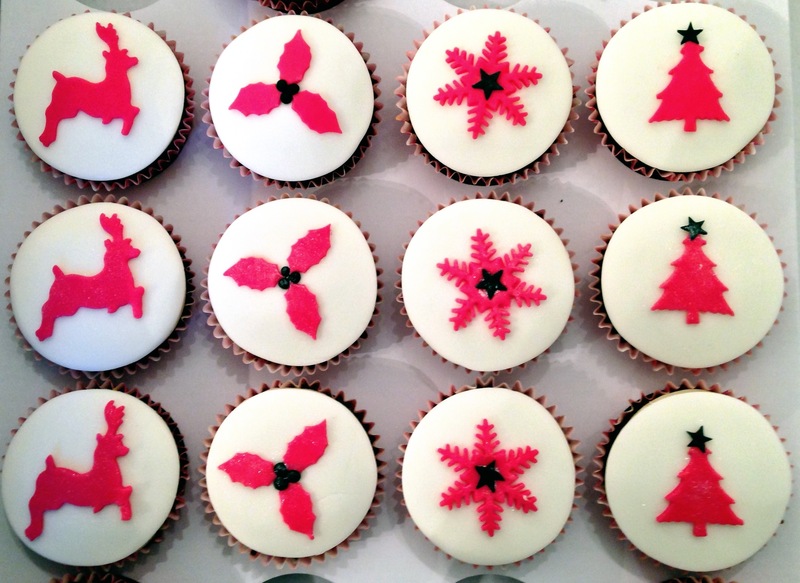 Not wanting to waste it, I thought I’d experiment by making some miniature Christmas Cakes using cupcake cases. 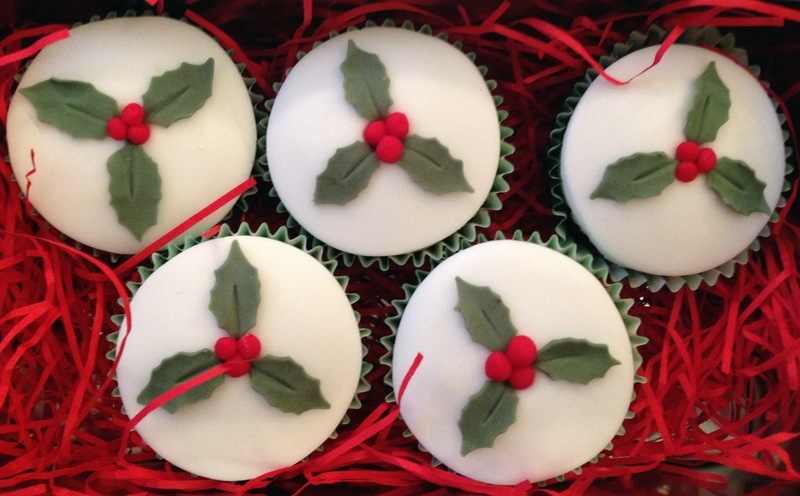 These mini Christmas Cakes are very simple to do using my Fruit Cake Recipe (the recipe for the 20inch/8cm cake makes about 24 cupcakes) and make a great alternative to a full blown cake taking a fraction of the time to cook. Just fill the cupcake cases around two thirds full with the cake batter and then bake for 1 hour at 140°C. Once cooled you can then top the cakes with disks of marzipan and sugarpaste and decorate as you wish. I was so pleased with the results that in addition to making some more traditional ones for the School Christmas Fair, I also made some pink ‘branded’ ones for work, including an alcohol and nut-free version (excluding the marzipan too).